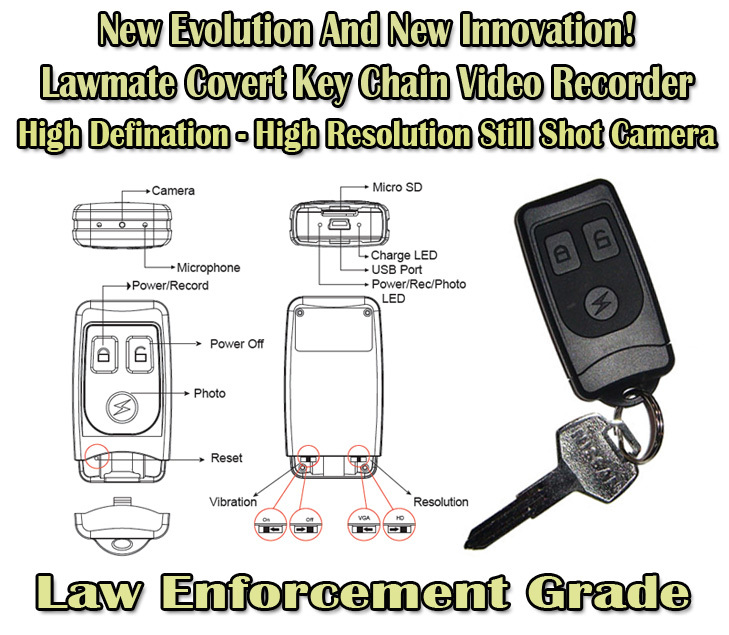 The New generation law enforcement grade Ultra Advanced Laser Camera Power Finder hands you hidden camera scanning power with six LED scanning lights that can flash or stay in on mode that lets you instantly find any camera that is wired, wireless, on, off, dead or alive! You simply look through the view finder and you can spot any hidden camera in an instant!This new generation camera power finder has on and off switch as well as a hold and flash button to make finding cameras quick and easy. Set the unit on flash mode and scan any room. Any hidden camera will flash like a sore thumb. Turn the mode to non flash on mode and you can pinpoint the location of the camera. 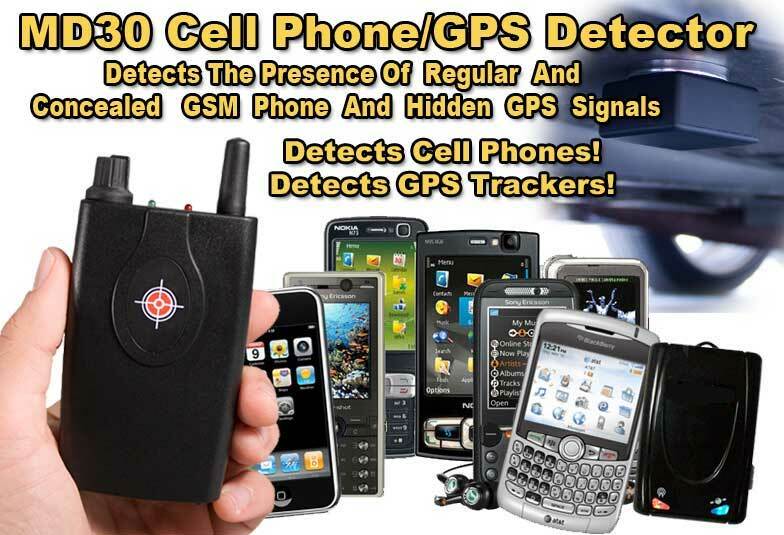 You can find any hidden cameras up to 900 feet away with this power scanner/hidden camera finder. 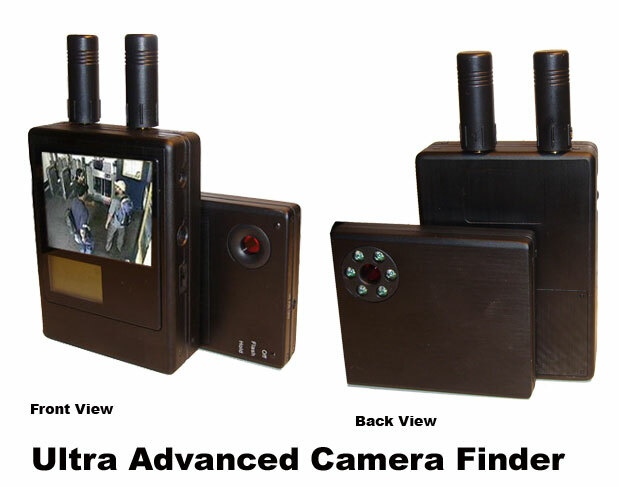 The Ultra Advanced Laser Camera Power Finder is the most powerful camera finder on the market today! It comes with a rechargeable battery and battery charger power plug and is housed is a high end brushed metal housing. • Finds Hidden Cameras That Are Wired, Wireless, On/Off, Dead Or Alive! When looking through the view finder, hidden cameras show up as a flashing dot! 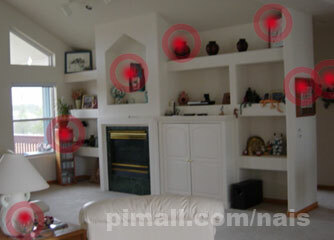 Hidden Cameras Of All Types Instantly Found With New Laser Camera Power Finder! found easier and quickly by anyone! Video Camera And Displays The Transmission On It's Bulit-In Screen! Ultra Advanced Camera Hunting Combo! 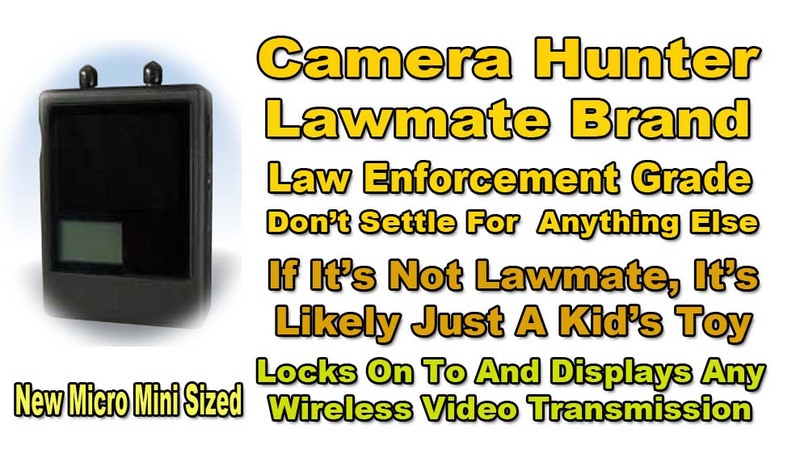 Instantly Finds And Locks On To Any Wireless Camera Up To 2.7 Ghz And Displays Video On Screen! 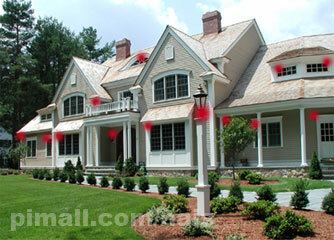 New Laser Power Finder Locates Camera Lens On Any Hidden Camera Wired, Wireless Dead Or Alive!